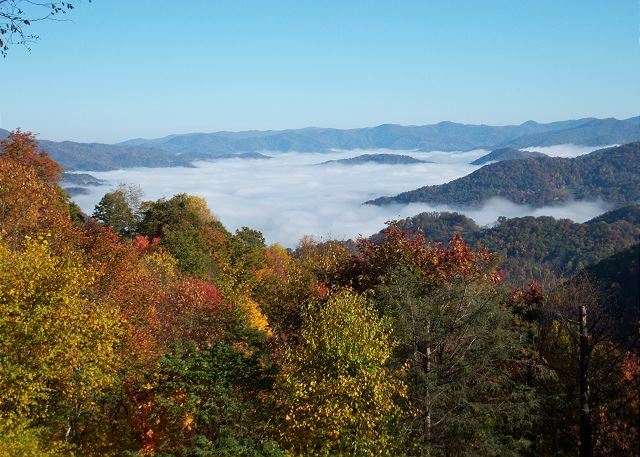 Our home affords beautiful long range mountain views from 4100 feet. 4 Large Flat Screen TV's installed August 2018 with HD UPGRADED DIRECTV INCLUDING NFL package For 2018 Regular Season Games. Free high speed Wireless internet and WiFi; Movie Theatre. 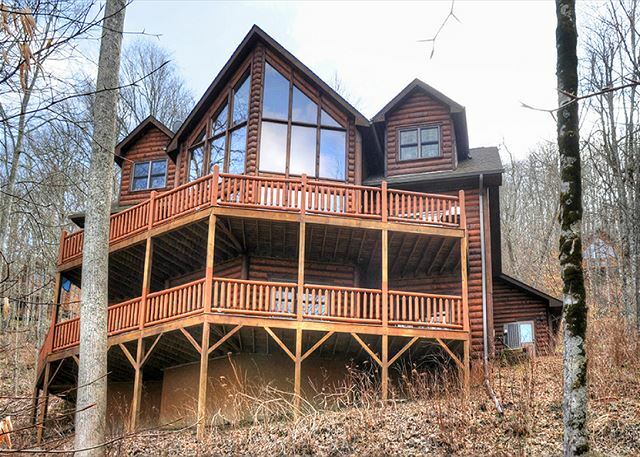 Beautifully Decorated New 4 Bedroom/ 4 1/2 Bath Log Home, Excellent Mountain Views (4100 ft. elevation). Relax and Enjoy for Family Gatherings or Business Retreat/Working Vacation. Cascading Falls. 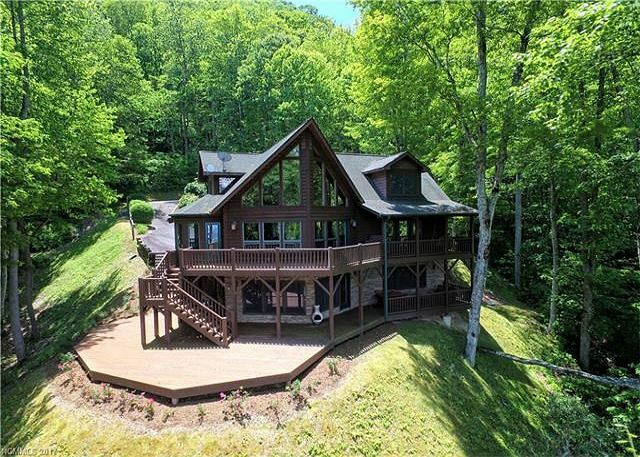 Great Views and an Awesome Waterfall provide the setting for this One of a Kind Home in the gated community of Smoky Mountain Retreat at Eagle's Nest. Expansive Windows in the great room allow you to take in the view. Solid beauty from the inside out! 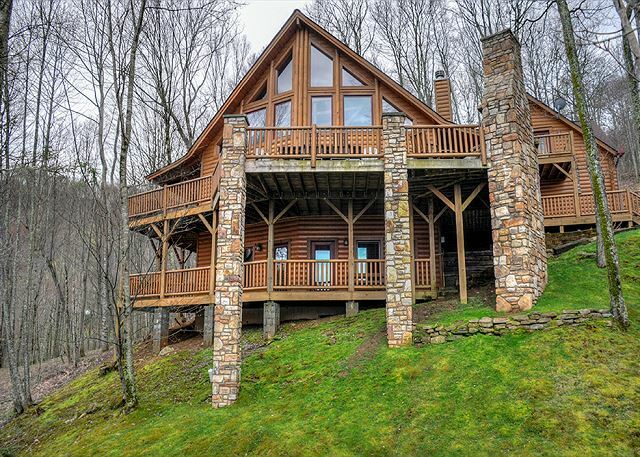 A winning combination of superior location in the private, gated community of Smoky Mountain Retreat, and the enduring quality of a Gastineau OAK log home that glows with warmth and comfort. Pool table and Foosball table. Beautiful luxury home with an excellent view. Easy access with a gentle drive up to the home. Four Bedrooms with everything on one floor. Large designer's kitchen. Very well furnished and decorated. Beautifully landscaped yard. Close to LRCC Club House. 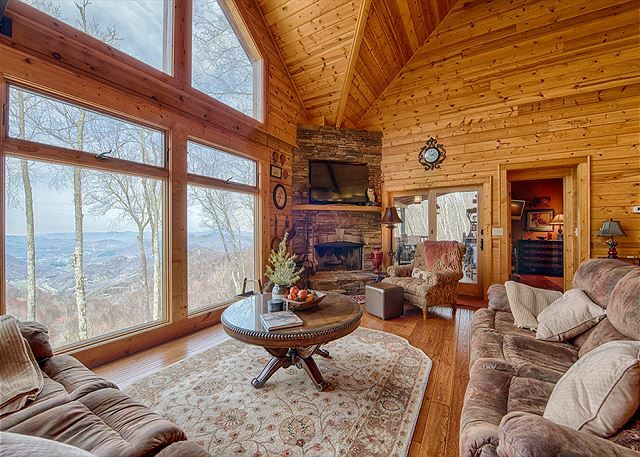 Home in the Gated Smoky Mountain Retreat Community, New to our program with outstanding views is your perfect getaway.High quality finishes, open floor plan, great room with a wood burning fireplace. 4 bedroom, 4.5 baths! 3 bedroom/2.5 bath + Loft, Game room, Gas Fireplace, Washer/Dryer, Dishwasher, TV/VCR/DVD/CD player, Wireless Internet, 2-Car Garage, Covered Porch, Open Deck, Gas Grill, Great Views (3200 ft. elevation). Small dogs by owner approval.